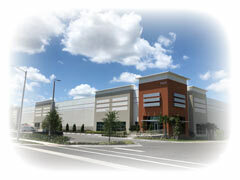 Crossdocking and Delivery specializes in accessible and secure commercial storage services in Orlando. Whether you are running out of warehouse space or you need short-term extra storage; Crossdocking and Delivery provides all-inclusive storage for any and all business items (i.e. documents, furniture, equipment, etc.). Our commercial storage solutions are also completely scalable; allowing your business to define your warehouse storage space needs and expand or scale back on your terms. Our warehouse storage spaces range from 5,000 square feet to 50,000 square feet and are equipped to store items for any duration. From storing trade show gear that ships once a year to commercial supplies that constantly move in and out, we have the storage solution for your business. We pride ourselves in the safety and cleanliness of our facilities and we're ready for any and all types of furniture or equipment you need to store. Our commercial storage space is more than adequate to house even the largest of businesses; and a highly secured storage facility is exactly what you need when you're considering storing your business goods. Our storage facilities are suitable for all types of businesses and is just minutes from Orlando International Airport, Orange County Convention Center, The Florida Turnpike and I-4. For more information on our Orlando storage facility or for a quote of storage services, contact our main office with your storage needs at 407-854-1500 or fill out our storage request form!